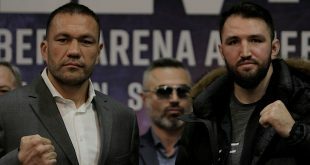 By Per Ake Persson Former European heavy champ Paolo Vidoz says his fight in Berlin against Bulgarian prospect Kubrat Pulev this past weekend was his last. Vidoz lost a shutout decision to Pulev. "I never got back into it after losing to Matt Skelton late 2008", says Paolo.